JEFFERSON CITY, Mo. — Gov. 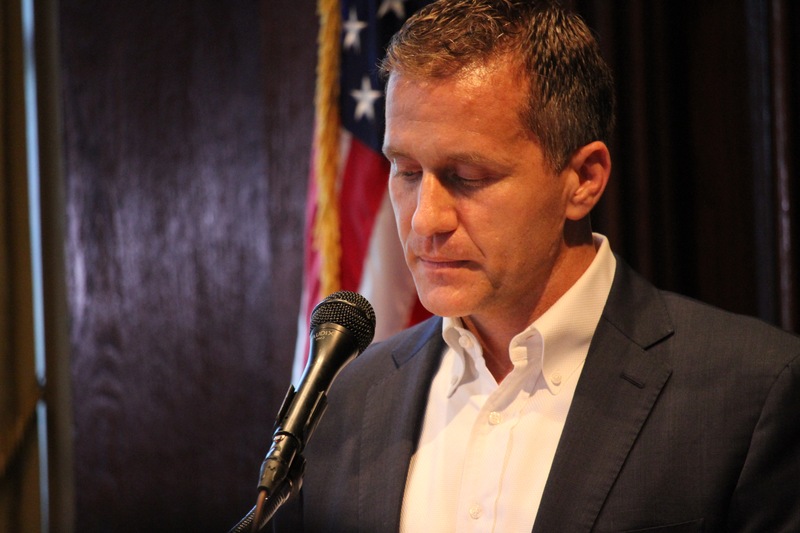 Eric Greitens may be stepping down, and the computer tampering case against him may be dismissed, but it by no means is an indication that the Missouri House will back off on their subpoenas for documents. A House spokesman on Thursday confirmed the chamber still expects the records to be provided. The documents requested concern the nonprofit group, A New Missouri, which pushed for the agenda of Greitens. On Tuesday, Cole County Circuit Judge Jon Beetem ruled that A New Missouri and the campaign, Greitens for Missouri, must comply with the subpoenas and supply the requested information, which deals with communications between Greitens for Missouri and A New Missouri, as well as information about expenditures made by A New Missouri. But that afternoon, Greitens announced his intent to resign on Friday at 5 p.m., which created some uncertainty as to whether the two entities would still need to comply with the court order, as he was stepping down from office, and the deal between the prosecutor in St. Louis and Greitens’ defense team had resulted in the dismissal of the charge related to the House’s investigation on the matter. The House, however, is of the opinion that the order still stands. According to the Associated Press, the two entities’ lawyer, Catherine Hanaway, says they are reviewing their options.